I know, it’s TECHNICALLY fall now, but that doesn’t mean I am putting the lid on the grill for the winter. Nope, I’m taking the opposite tack by using the grill for every possible meal until the snow flies…I’m talking grilled buttermilk chicken. I’m talking grilled bacon and rosemary pizza. 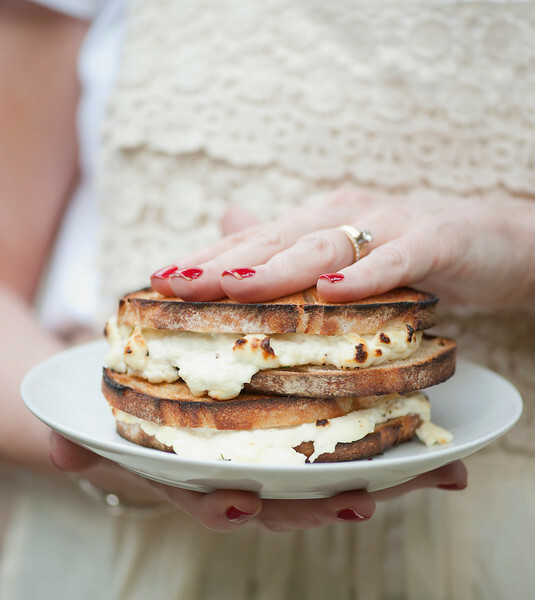 And yes, I am talking creamy, dreamy grilled ricotta cheese and fresh chive sandwiches on country bread, grilled until the outside is crispy, the inside is warm, and you have now started thinking about the words “grilled” and “cheese” in a whole new way. 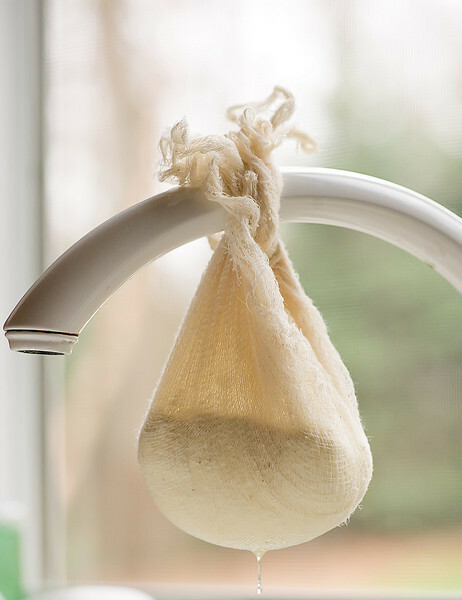 Click here for all you need to know to be a fresh ricotta-maker. Meanwhile, back at the sandwiches, all you need is some nice ricotta, some fresh chopped chives, some sturdy bread (so it can stand up to the grilling), a little olive oil and some salt and pepper. Brush the outsides of the bread with the oil and sprinkle the oiled side with salt and pepper. Now place one piece oil-side down and spread it generously with ricotta and sprinkle lavishly with chives. (I’m in an adverb kind of mood today.) Now top with the other piece of bread, oil side up, and let’s repair outside to the grill. Now, you can certainly grill these right on the grill…I’ve done grilled cheese sandwiches that way many times and they come out just fine. However, if you have a grill stone or a pizza stone, this is a fine thing to use it for, and it makes the flipping a little easier. One way or the other, heat your grill up to medium high and pop the sandwich on there until it is nice and golden. Flip it over oh so carefully and grill on the other side. I like to keep the cover down in between flipping, as this lets the edges of the cheese peeking out from the sides get nice and golden brown. Now remove from the grill, let them cool just the littlest bit and dig in! Warm and just the right amount of creamy and crunchy…it makes the end of summer seem not so bad! Brush one side of each piece of bread with olive oil, and sprinkle the oiled side with salt and pepper. Lay two pieces oil side down and cover with 1/2 cup ricotta each. Sprinkle each with chives. Place the other piece of bread on top, oil side up. Grill (either directly on the grill grates or on a grilling or pizza stone) for 3-5 minutes or until golden. Flip carefully and grill the other side until golden. Cool for a few minutes and enjoy! This looks divine. I look for any excuse to devour that homemade ricotta! I keep pre-cut fresh chives in my freezer at all times for all sorts of things. Thanks for the recipe. Imagining with these with homemade ricotta. yes. So so so so so good.